I am delighted to welcome you all to the five-day In-Class capacity building segment of the Youth Entrepreneurship Support (YES) Programme which has witnessed great enthusiasm among the Nigerian Youth. The programme which has recorded unprecedented participation further gives a boost to our collective effort in developing a generation of young aspiring entrepreneurs, thereby addressing the worrisome phenomenon of youth unemployment in Nigeria. The Bank has in the last one year, launched two audacious initiatives aimed at tackling the worrisome phenomenon of youth unemployment in the Nigerian society. Both initiatives are unique in that emphasis was laid on entrepreneurial and business management training which were provided free of charge by the Bank of Industry before financing the business proposals. It was against this backdrop that on 5th October 2015, the Bank of Industry (BOI) in collaboration with National Youth Service Corps (NYSC) launched the Graduate Entrepreneurship Fund (GEF) which sought to train serving corps members and provide loans to them at single digit interest rate. In the maiden edition of the GEF programme, an online business ideas competition was organised in which submissions were received from 3100 corps members. Of these, 896 successful candidates were trained and a total sum of N428.7 Million was approved for the businesses proposed by 254 candidates, many of which have fully implemented their business proposals and have employed other young Nigerians. Due to the need for a wider coverage of the entrepreneurship programme among the large youth populace, the Bank of Industry with the full support of the Federal Government of Nigeria, introduced the Youth Entrepreneurship Support (YES) Programme which is aimed at equipping young people between the ages of 18 and 35 years that hold a minimum educational qualification of an Ordinary National Diploma (OND) or its equivalent, with the requisite skills and knowledge to be self-employed. To act as an incubation ecosystem where business ideas are nurtured to their full potential. To deepen financial inclusion by de-risking the young aspiring entrepreneurs and making them eligible for small business loans. Evaluation and initial screening of applications received on the YES portal. Ten (10) weeks extensive online Entrepreneurship and Business Management training for the selected candidates, administered under a partnership arrangement between Pan-Atlantic University Enterprise Development Centre (PAU-EDC) and the African Management Initiative (AMI) based in Nairobi, Kenya. Five (5) days in-class Entrepreneurship and Business Management training, facilitated by PAU-EDC and eleven (11) of the topmost Entrepreneurship Development Centres (EDCs) in the country. Financing the businesses by BOI under its SME Cluster initiative. As an attestation to the huge enthusiasm generated by the YES-Programme, a total of 71,778 entries were received in the first and second rounds of the online application between March and August, 2016. This number is far in excess of the projected number of 10,000 applications. As such, the initial target to train 2,000 youths on annual basis under the programme had to be revised upwards to 10,000 youths with 2,500 youths being trained per quarter in the first year. In the second year, it is estimated that 20,000 youths would pass through the scheme in the second year and the programme would be further expanded in subsequent years. The applications received were subsequently screened and 3,500 candidates with the best business proposals were selected through a highly transparent process to participate in the 10-week online training. Personal information for each candidate was separated from the business proposals through a computer sorting arrangement. Therefore, the officials who graded the business information had no knowledge of the names and other personal information of the respective candidates. Hence, the process was devoid of subjectivity as the candidates’ scores were only merged with their respective personal information after the grading exercise with the aid of a system generated code previously allotted to information provided by each candidate. 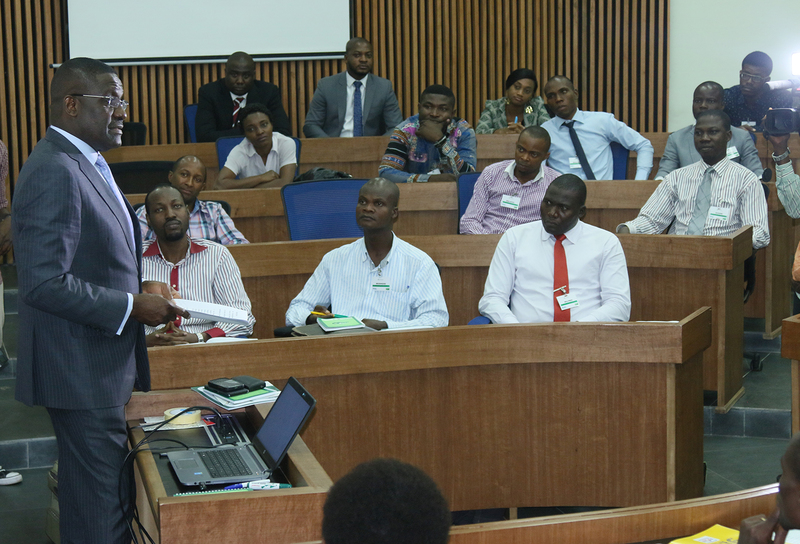 Based on the test of participants’ understanding and a track of their progress in the online training, the best 2,500 candidates were shortlisted for this five-day in-class training programme which is running concurrently in twenty (20) selected centres across the six geopolitical zones of the country and being facilitated by the top twelve (12) EDCs in the country. The five (5) days intensive entrepreneurship capacity building programme shall cover key areas such as Generating a Business Idea (Value Proposition), how to run a Profitable Business (Business Model), Financial Planning, Sales and Marketing, etc. At the end of the training, participants will be required to submit their loan applications along with their business plans. Bankable business propositions will be funded in fulfilment of the fourth stage of the YES-Programme. The funding will be in form of loans to cover the cost of equipment and working capital requirement of the proposed projects. The loan to each beneficiary will range from N100,000.00 to a maximum of N5.0 million administered at a single digit interest rate of 9% per annum, with tenor ranging between 3 – 5 years. The YES Programme has the potential to create more than 150,000 direct and indirect jobs in the first year alone. This jobs will be generated from the 10,000 businesses supported in this initial phase by the establishment of supply and distribution value chains. I want to thank the twelve (12) enterprise development institutions that are facilitating this training programme. They have shown passion and great commitment to youth entrepreneurship development in Nigeria in collaboration with the Bank of Industry. The enterprise development institutions also double as Business Development Service Providers (BDSPs) are also expected to hand-hold these young entrepreneurs and guide them through the critical formation stages of their businesses. I also enjoin you the participants to make the most of this unique opportunity. Thank you all for listening and do enjoy the rest of the programme.